VOLTTRON is an innovative open source software platform that helps users rapidly develop and deploy new control solutions for a myriad of applications in buildings, renewable energy systems and electricity grid systems. 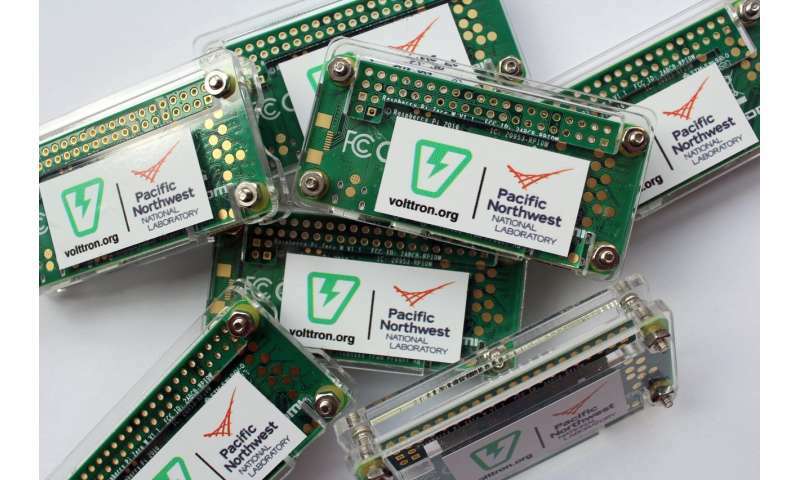 Developed by Pacific Northwest National Laboratory with funding from the Department of Energy, VOLTTRON can be downloaded from the not-for-profit Eclipse Foundation that will steward it as an open source software platform. As part of this move, PNNL has joined the Eclipse Foundation, a global organization with more than 275 members. Flexible, scalable and cyber-secure, VOLTTRON offers paradigm-shifting capabilities for development of new analysis and management solutions for energy consumption optimization and integration of building assets with the electric grid. VOLTTRON provides the ability to shift energy demand to off-peak hours and manage a facility's load shape to reduce stress on the grid. Research activities performed on the PNNL campus showed that engineers consistently reduced peak electricity consumption by 15 percent without impacting occupant comfort when using VOLTTRON, and they were able to identify measures to significantly improve operations of the HVAC system in newer buildings. Now known as Eclipse VOLTTRON, the software platform can run in the cloud or on an inexpensive single board computer such as a Raspberry Pi or a Linux-based system. It is like an operating system for building control and energy management. The Eclipse Foundation is co-organizing a meeting this week at PNNL to convene several early adopters of VOLTTRON, including New City Energy, Intellimation, SkyCentrics, SES Consulting and the Provincial Electricity Authority of Thailand. These organizations are using VOLTTRON on thousands of devices to manage and save energy. VOLTTRON can be configured to use any of the various protocols needed to interface with devices or data sources. Topics at this week's meeting include the scaling of Eclipse VOLTTRON for large deployments, including potential use of Eclipse VOLTTRON for building owners and electric utilities through applications to be developed by Eclipse's open source software community. The idea is to make the code freely available to companies or individuals to create new user interfaces and applications using Python programming language. "Everyone will benefit from DOE's investment in VOLTTRON," said Jud Virden PNNL's associate laboratory director for energy and environment. "We've achieved significant energy savings during the extensive testing we've done here at PNNL as a living laboratory and others have also achieved dramatic results out in the real world." PNNL has taken this step to leverage the Eclipse Foundation's long history of cultivating open source projects. "Eclipse projects benefit from the strong and pragmatic set of services offered by the Eclipse Foundation, including governance, IP management, and community development," said Mike Milinkovich, Executive Director of the Eclipse Foundation. "We want to help foster a vibrant and sustainable community of global developers and organizations both benefiting from and contributing to Eclipse VOLTTRON."